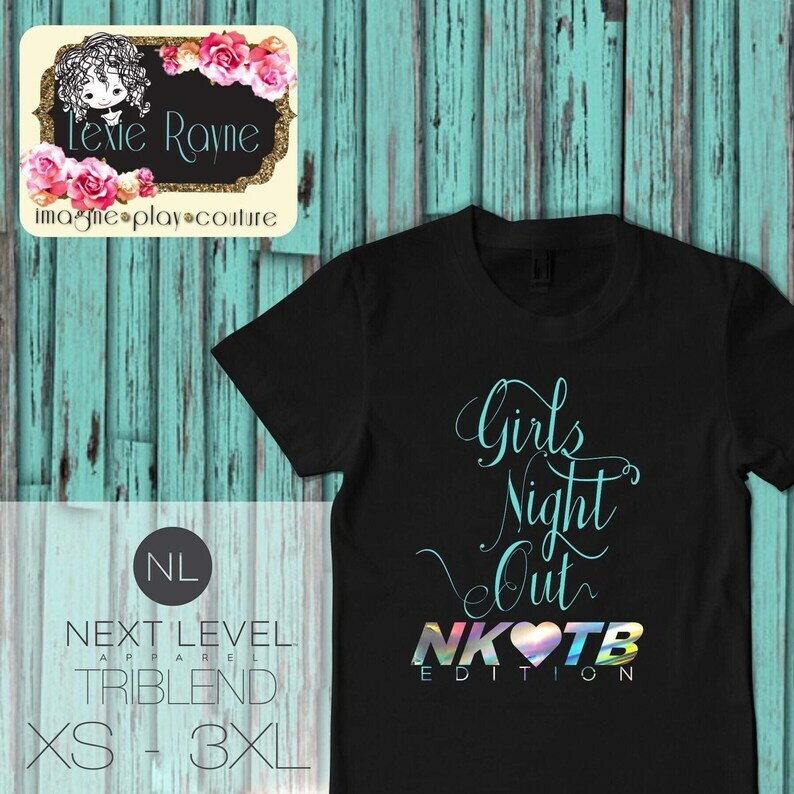 New Kids On The Block girls night out tee shirt. Get the gang together for a fun night out...a NKOTB night out! You’ll make a statement and take some great selfies to boot in these coordinating tee’s! This listing is for 1 triblend unisex t-shirt with top quality vinyl. “Girls Night Out” wording with your choice of pink, purple or turquoise vinyl. “NKOTB Edition” wording in silver holographic vinyl. Vinyl is applied with a professional heat press for a lasting finish. Cancellations within 24 hours of purchase, after that time sales are final. Please visit our shop for more fun NKOTB and other shirts! **If you would like your shirt to include a list of the bands on tour in the back please see this listing!